Saturday 8 March is International Women’s Day (IWD). 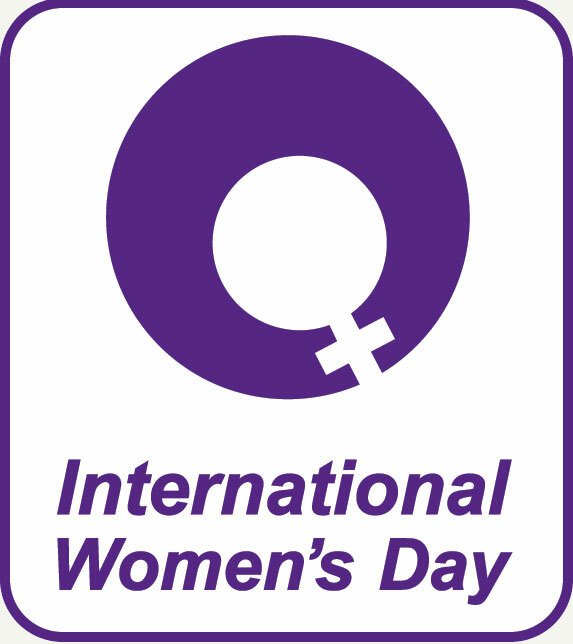 Millions of people around the world come together for IWD celebrating and recognising women for their achievements in the past present and future; regardless of divisions, whether national, ethnic, linguistic, cultural, economic or political and also to fight for justice. It is a proven fact that the advancement of women is of prime importance to economy, business and society but by having this day of celebration also allows an opportunity for all of us to come together in support of girls and women, ensuring they have rights and access to basic health and education services. 70% of the world’s poor are women. Education is one important way to empower women with the knowledge, skills and self-confidence necessary to earn an income and provide for themselves and their families. Here in Australia we can thankfully celebrate the rights women and girls are often afforded, but also must recognise that there is still a long way to go before we are all treated equally and respectfully in what are sometimes referred to as non-traditional female work roles. 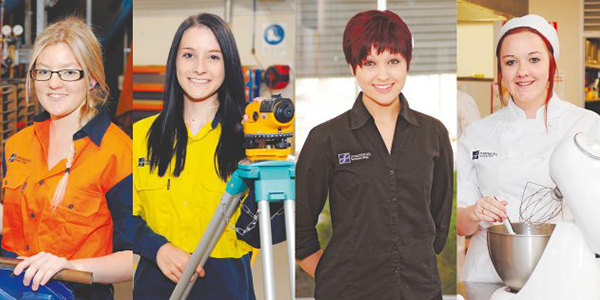 St Patrick’s Technical College will celebrate International Women’s Day on the morning of Friday 7 March. Invited guest speakers will be sharing and presenting to students about their own experiences of being a woman in the workplace. Female staff and students, along with guests from our College community will share in a morning tea celebration while listening to presenters. St Patrick’s students have also been busy collecting and organising a fundraising raffle for the morning. They will continue to sell tickets around the College next week with it being drawn during the formalities of the morning. Money raised from the raffle will be passed on to local organisation Zonta. Zonta is actively involved in providing both hands-on service and financial support to a number of local community organisations. In addition, it has provided financial support to a variety of international service projects organised biennially through the auspices of Zonta International. All efforts go toward the Zonta aim of improving the status of women world-wide through service and advocacy. We extend a further invitation to any women who would like to join us for our morning celebration to please contact the College front office to help with our catering numbers. This entry was posted in Community Blog, Latest News on 27/02/2014 by St Patrick's Technical College. This entry was posted in Fighting Irish, Latest News on 26/02/2014 by St Patrick's Technical College. The Patron Saint of our College was a person of vision, determination, courage, sacrifice, honesty, integrity, faith and resilience. These are just a few of the qualities that enabled him to perform the work that he did against constant and often hostile opposition. These are also the qualities we try to instil and expect in our students as they journey into the world of employment. On Monday 17 March we are once again celebrating St Patrick’s Day at our college. The day will begin with a Liturgy in our Flexible Learning Area at 9.00-10.00am. Normal lessons will resume at the conclusion of the Liturgy until the fun begins at 1.00pm when stalls and activities will be operating outside. Students will be operating a number of minor fundraising events, which will include a barbecue, drinks and ice-cream, long kick competition, show and shine and sound-off, a “Minute to Win It”, hammer time, how many students can fit into…, cupcakes, hairspray, guessing how many lollies in a jar and strength competitions. There will be plenty to eat and do! Proceeds from the day’s activities will be donated to Caritas Australia’s Project Compassion. If you are in a position to donate any goods or services that could be offered as prizes or used to assist our fundraising, please let Mr Mark Prokopec know asap. Donations gratefully received. The day will conclude with our annual inter-trade tug-o-war on the oval. Family members are most welcome to join us for the Liturgy and again later for the fun and fundraising in the yard from 1.00pm. It’s a great day and an occasion we look forward to celebrating each year. Students are encouraged to join in the spirit of the day by wearing something green. 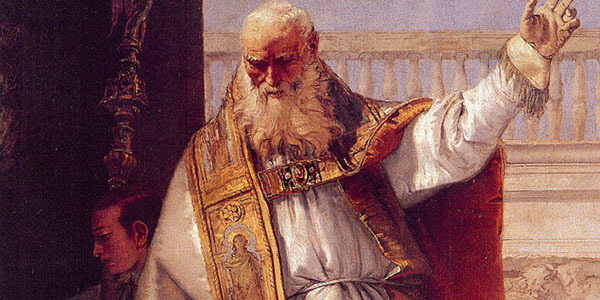 Please note that there is an early dismissal on St Patrick’s Day at 2.30pm or following the conclusion of the tug-o-war and presentation of prizes. This entry was posted in Administration, Community Blog on 26/02/2014 by St Patrick's Technical College. Welcome to the 2014 academic year. I would like to particularly extend a welcome to those families who are new to St Patrick’s and assure you that we will be seeking to work together to bring about a successful outcome for your son or daughter. I would also like to welcome new staff members Mrs Rebecca Holiday, Mrs Briony Forster and Mr Bradley Sheridan. It has been an excellent start to the year with the Year 11 students settling into the routine of the College extremely well. There has been an extensive transition program this year and the Year 11’s have been involved in a range of activities that have enabled them to quickly integrate into the College’s routines and structures. These have included team building activities, workplace safety, first aid, white card and leadership programs. The students and staff are very positive and are looking forward to a successful year. I have been impressed with the new students I have met so far. It is a privilege to share in their hopes and aspirations and to acknowledge the huge step they have made in coming to St Patrick’s to pursue their career goals. One of the strengths of the College is the College Board. The St Patrick’s Board is unique in that it is composed of both education and industry appointees. We have been very fortunate to have as our Chair, Mrs Tricia Hicks who brings a passion for trade training and vast experience as an employer into the role. Mrs Hicks has been the Chair for the last two years and has been involved in setting the strategic direction of the College in that time. The Board is integral to the good governance of the College and is committed to St Patrick’s being a leader in vocational education in this State. Unlike most schools, much of our success is measured by apprenticeship outcomes. 2013 was a very successful year in that respect with 81 of our graduates already in full-time apprenticeships. With this year’s school-based apprentices, the College has now passed the 550 apprenticeships in total. This is an outstanding effort and reflects strong industry support. Over 95% of the 2013 Year 12 class achieved their SACE and 75% of the Applied Engineering class received their first preference University entrance to either Engineering or Applied Science courses. I would like to congratulate all those students and thank the teachers and parents who supported them in their achievement. Congratulations also to staff members Mrs Katie Gloede and Mr Frank Palladino. Mrs Gloede, who is on maternity leave this Semester has recently given birth to a daughter. Mr Palladino has won the prestigious Excellence Award from the Design and Technology Teachers Association for his commitment and contribution to technology teaching. We look forward to another successful year in 2014. Please work closely with your son or daughter’s pastoral care teacher to support the important work of transitioning these young people into the workforce. 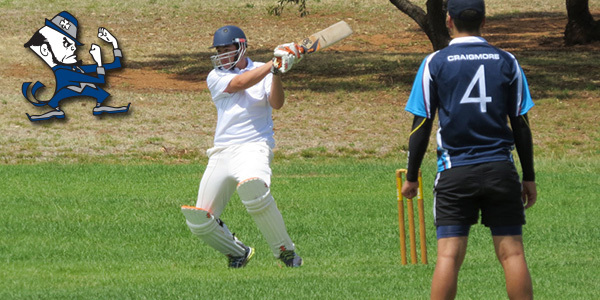 This entry was posted in Principal's Blog on 12/02/2014 by St Patrick's Technical College. 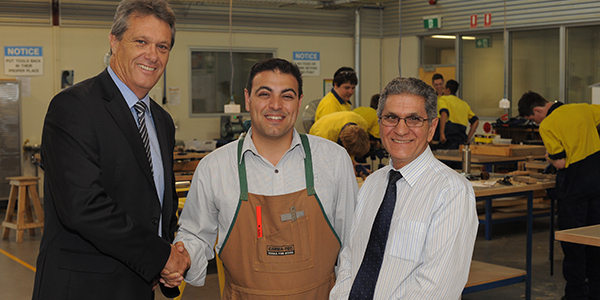 St Patrick’s Technical College teacher, Mr Frank Palladino, has been awarded an Award for Excellence from the Design & Technology Teachers Association of South Australia (DATTA-SA). Mr Palladino has been recognised for his commitment to Design Technology and Vocational Education & Training at St Patrick’s for the past six years, and for his lead involvement with the College’s Habitat for Humanity program. The Habitat for Humanity program is the core element of the College’s Building & Construction course, training campus-based students on live build sites. Students are involved in a number of construction tasks on the live sites, attaining competencies for their Certificate II in Construction Pathways and Certificate III in Carpentry qualifications. But the program has a much wider impact with the completed houses being sold to low income and disadvantaged families through the excellent work of Habitat for Humanity SA. Mr Palladino is no stranger to awards such as these. In 2012, he was the recipient of the Archbishop’s Award for Excellence for Services to the Young People of South Australia. The Habitat for Humanity program with which he is so closely associated, is also an award winner receiving the $50,000 NAB Schools First Local Impact Award in 2011. It was also a finalist in the SA Training Awards in 2010 and the Playford Alive Local Hero Awards in 2012. Frank’s latest award will be officially presented at the DATTA-SA Annual General Meeting on Friday 28 February at the new Tonsley TAFE SA Campus. This entry was posted in Latest News, Principal's Blog on 12/02/2014 by St Patrick's Technical College. Later this year, St Patrick’s Technical College will introduce an exciting initiative for students to introduce them to the global opportunities they have in studying for a trades and technical career. Our inaugural exchange to The JCB Academy in Staffordshire, will see four students and two staff spend two weeks attending classes at one of the UK’s newest University Technical Colleges. The JCB Academy is a school similar to St Patrick’s in many ways with the curriculum and learning techniques allowing students to combine theory and practical activities with a strong focus on Engineering. Like St Patrick’s, The JCB Academy has strong links with local industry. JCB, the world’s third-largest construction equipment manufacturer, is the College’s major backer. Lead by JCB Group Chairman, Sir Anthony Bamford, local business leaders have shown significant support for this educational venture by providing equipment, expertise and engineering staff to assist College staff in the delivery of pre-apprenticeship and pre-tertiary Engineering courses. In 2012, staff from St Patrick’s Technical College visited The JCB Academy and discovered that there was much our schools could learn from each other. Many of the learnings from that experience have since been implemented here at Edinburgh North, while in Staffordshire our flexible approach to pre-apprenticeship programs has been adopted. During October last year, St Patrick’s hosted two staff members from The JCB Academy to investigate further aspects of our school to be adopted in the UK and to formulate the concept of an annual staff / student exchange program between our schools. We are delighted to offer students the opportunity to be part of this in 2014. An Information Evening for students and their families wishing to learn more about this opportunity will be held at St Patrick’s Technical College on Tuesday 18 February, 6.30 – 8pm. Where exactly is The JCB Academy? The JCB Academy (JCBA) is located in the village of Rocester, Staffordshire. It is approximately 30km west of the city of Derby and 30km to the east of Stoke-on-Trent. We are likely to have the exchange fly into Manchester (approximately 100km north) as the nearest major airport. When will the exchange take place? We plan to leave on Saturday 27 September and return to Adelaide on Monday 13 October. This is the two week break between terms 3 and 4. How many students / staff will be going? We would like to send four students. They will be accompanied by two staff members. Where will students stay while on the exchange? Students will be hosted by families with students attending JCBA. These families will be interviewed, in person, by a member of the St Patrick’s Technical College staff in April this year. How much will the exchange cost? Full cost details are currently being calculated, however with accommodation provided by host families, the majority of the cost will be in the return airfare between Adelaide and the United Kingdom. Some costs, such as travel insurance, are requirements of Catholic Education SA and will need to be included in the overall package cost. What sort of activities will students be involved in while on the exchange? Students will join in many regular JCBA classes throughout the two weeks as well as work on a joint project with JCBA students. The JCB Academy Open Day is on Saturday 4 October and St Patrick’s Technical College will have a display as part of that event featuring the all exchange students and staff. Students will visit a number of the Academy’s local industry partners, including the JCB World Headquarters. There will also be a number of social activities planned as well as a trip to London at the end of the two weeks. A detailed program will be discussed at the Information Evening in February. This entry was posted in Latest News on 11/02/2014 by St Patrick's Technical College. Last week ASC held their annual induction ceremony for commencing apprentices at its Osborne facility. In past year’s St Patrick’s Technical College has been strongly represented among the ranks of the new apprentices at ASC, but the 2014 intake has seen an unprecedented level of achievement for our students. Of the 21 new apprentices presented with their helmets, five are products of St Patrick’s. Worthy of particular note amongst this group is current Applied Engineering student, Mason Browning, who is the only school-based apprentice among the entire 2014 intake. His apprenticeship training this year will contribute to the successful attainment of his SACE. All four other graduates successfully completed studies for their SACE at St Patrick’s last year with their Certificate II pre-apprenticeship training in Electrotechnology, Engineering, Automotive or Metal Roofing & Cladding. 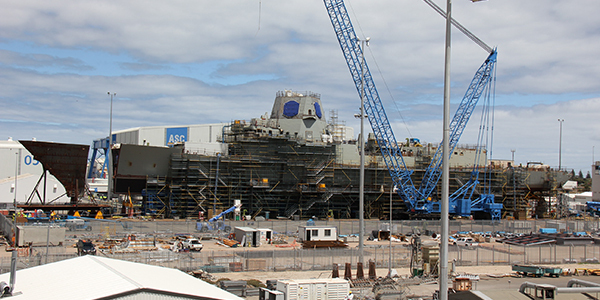 ASC is Australia’s largest specialised defence shipbuilding organisation, with naval design and engineering resources unparalleled within Australia’s defence industry. Established in 1985 as Australian Submarine Corporation, ASC was chosen in 1987 as the prime contractor for the design, manufacture, delivery of the Royal Australian Navy’s fleet of Collins Class submarines. In 2003, commenced a 25-year contract with the Defence Materiel Organisation (DMO) for the ongoing repair, maintenance and design upgrades of the submarines. In 2005, ASC was awarded the role of Shipbuilder for the Hobart Class Air Warfare Destroyer (AWD) project. This program will see the most advanced and complex warships ever built in Australia being constructed at ASC’s state-of-the-art shipbuilding facility at Osborne over the coming years. We congratulate all five boys on their outstanding achievement and wish them well in their new careers! This entry was posted in Industry Office, Latest News on 10/02/2014 by St Patrick's Technical College. 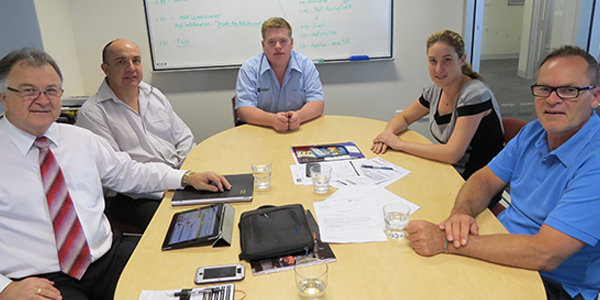 On Wednesday 5 February 2014, Year 12 Metals & Engineering student, Lawson Mik, became the 550th St Patrick’s Technical College student to be signed to an apprenticeship Contract of Training while attending the College. Lawson is employed by Australian Industry Group Training Services (AiGTS) as a school-based apprentice and will be working as a machinist at Levett Engineering located in Elizabeth. AiGTS (formerly the Engineering Employers Association of South Australia (EEASA)) have been very strong supporters of the College since we opened in 2007. Lawson becomes the thirty first apprentice to be employed by the organisation making it the second highest employer behind the Motor Trades Association. Paul McPherson, AiGTS Employment & Training Consultant, says the relationship formed with St Patrick’s is a very important one as it provides a source of quality apprentices. Paul stated several apprentices from St Patrick’s have gone on to win awards at AiGTS including Liam Howden (’12, Metals & Engineering) winner of the Group Training Australia School-based Apprentice of the Year Award last year. Lawson’s sign up took place at St Patrick’s and his dad, Darren, was present. Also in attendance was Paul McPherson representing AiGTS, Kylie McCausland representing Sarina Russo Apprenticeships and Jim Montgomery representing the College. The signing of our 550th apprentice represents a significant milestone for the College and maintains the excellent apprenticeship outcomes we have consistently achieved. 79% of St Patrick’s enrolments gain an apprenticeship by the time they finish College. St Patrick’s congratulates Lawson on gaining his apprenticeship and wish him every success as he embarks on his new career. This entry was posted in Industry Office, Latest News on 06/02/2014 by St Patrick's Technical College.